We have received the following information and though some parents may be interested in taking part, this is not part of Derbyshire Parent Carer Voices work currently, but as national research it may interest some parents. 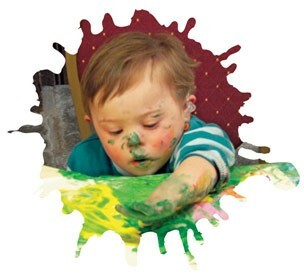 Today, the UK deafblind charity, Sense, is launching a public inquiry into access to play opportunities for children aged 0-5 with multiple needs. Play is an essential part of every child¹s life. In addition to being fun, playing helps children gain vital social and communication skills and to develop an understanding of the world around them. Despite this, we know that children with multiple needs often do not get the same opportunities to play as other children. Through our inquiry we hope to find out more about whether barriers exist to children with multiple needs accessing play, and to learn more about what works. We will produce a report and develop policy recommendations for national and local government. We would appreciate it if you would let families know about our play inquiry and ask them to share their experiences by filling out our parents’ survey online. This entry was posted in Uncategorized and tagged consultation, Derbyshire County Council, Derbyshire Parents, forum, Get Involved, involving families, participation, special educational needs, Updates by derbyshireparentforums. Bookmark the permalink.